No matter what industry you work in, there is sure to be a Motorola two way radio that suits your needs. Clearly someone in a property management role has different communication requirements than those first responders rushing into a burning building or chasing after a potential robber. Motorola takes those varying situations into account when it considers the needs of its customers. You may, however, be wondering what your options are for finding the perfect radio for your team or staff. There are a number of quick things to remember when you’re looking at two way radios, including ensuring you have a product that is made to work in your industry – and professional and mission critical grade two way radios ensure that’s the case. Otherwise communication may be an issue when you need it most. 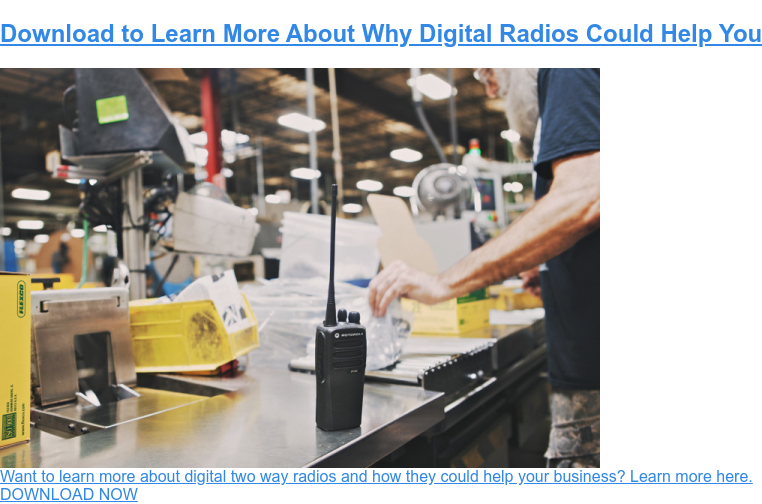 This might be an obvious factor in your decision for two way radios, but you may be surprised how much of a difference this can play in the quality of a radio you purchase. Indoor only work environments are temperature controlled, but it’s important to consider if they may be exposed to hazardous environments requiring enhanced safety features. Outdoor work environments require a two way radio that is built to withstand various temperatures and exposures to the elements, without taking away from your need for communication. Motorola two way radios keep these things in mind, and have what are known as Ingress Protection (IP) ratings on the majority of their new radios. These ratings indicate the ability for exposure to dust and moisture with your two way radio. Some radios are even made to withstand being fully submersed in water – if that’s something your industry needs! Heavy Duty or Light Duty? This depends on your industry and, of course, what you’re using it for. An office worker in a warehouse certainly needs a different two way radio than that of a construction worker or someone on the warehouse floor. Another consideration is how long of a work day your staff are having to determine what type of radio has the best battery life for that need. Motorola has developed a number of two way radios from light and compact to heavy duty. Whatever your choice, you can rest assured that it’s a durable product that will withstand the environment you put it in. There is no sense having a two way radio system if the radio you choose is not going to effectively communicate your message. Having the best communication tool in place has proven itself to add both productivity and efficiency to the workplace. 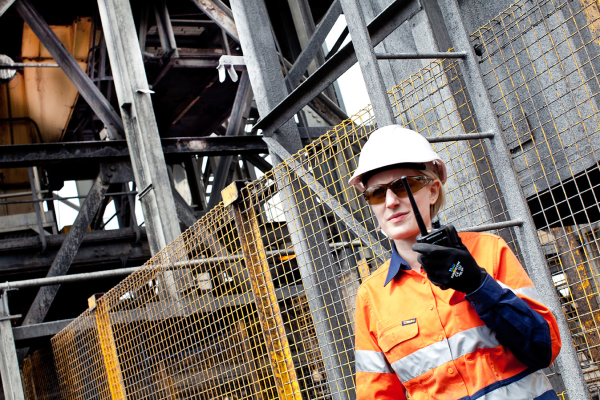 Noisy work environments – such as manufacturing, warehousing, emergency services and airports – are no match for the latest two way radio technology. Digital radio has enabled the advancement in audio capabilities, including Intelligent Audio in some radios – which lowers the background noise and automatically adjusts the speaker’s voice to allow for more clarity in message delivery. When the noise reduces, so does the sound of the voice. Man Down – If the two way radio remains at a certain angle for a designated amount of time, a signal is alerted. Lone Worker – Built for employees who work in areas mostly by themselves to send out alerts to staff to indicate they are okay. Emergency Alerts – Some Motorola two way radios are built with emergency buttons, and even strobe lights, to help with frantic situations. At Nova Communications, our team is made up of two way radio experts that not only understand the options available to you for two way radios, but also that your industry needs can differ from other businesses doing the same work. Contact us today for more information about how we can help you and your team with your communication needs.